"Purl", the first movie out of Pixar & # 39; s SparkShorts program, is about a ball of yarn trying to hold a job. But it is so much more. The card follows the pink ball of yarn by the name of Purl, when she comes to a man-dominated company (termed BRO Capital) and tries to fit in. But in a quest to be one of the boys, she can just lose part of her own identity. 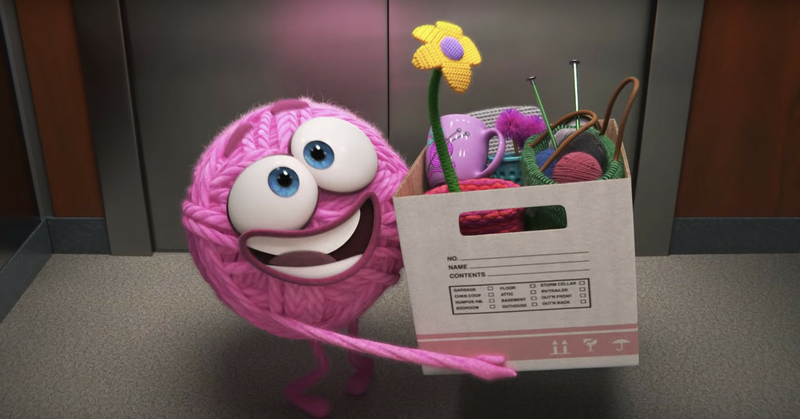 Pixar always delivers themes and messages not only for kids but also for people of all ages, but "Purl" packs a bit heavier – and it's not just because Purl swears at some point. In a "meeting filmmakers" clip, director Kristen Lester and producer Gillian Libbert-Duncan discuss the motivation to tell this particular story. "It's based on my experience of being in animation," Lester said. "My first job, I was the only woman in the room, and so to do what I loved, I became one of the guys. And then I came to Pixar, and I started working on a team with women for the first time time, and it actually made me realize how much of the female aspect of myself I had buried and left behind. " 1; and in fact, the SparkShorts program is designed to showcase stories from new voices with new techniques – Pixar even came on fire last year – not just because the company legend John Lasseter left the company for allegations of sexual abuse, but also because of an essay by a former art department employee about the very male dominated workplace culture promoted by the animation company . The complete list of shorts under the SparkShorts program can be found on Pixar's website. Two more are set to trigger this month: "Smash and Grab," a robot love story, will premier February 11; and "Kitbull", a story of a pit bull and a kitten, will be available on February 18th.